Downend Folk Club - AUTUMN/WINTER 2017 PROGRAMME ANNOUNCED! We are very excited reveal our line-up for Autumn/Winter this year. Also below is important information about some changes to the way that we sell tickets, so please make sure you read through to the end! 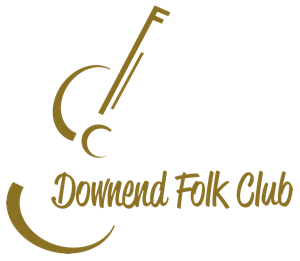 The Programme is full of the quality and diversity that you've come to expect from Downend Folk Club. It's a lineup that we feel very proud of and we hope that you'll agree that it's one of our best yet! Kicking off our concerts after the Summer break will be the fast-rising four-piece KIM LOWINGS & THE GREENWOOD. Many of you will remember Kim and the band from their breathtaking set opening for Jackie Oates a couple of years ago. Well now, after many requests from you our members, they're back in their own right; they headline at Frenchay Village Hall on Friday 15th September as they tour the UK with their new album, 'Wild & Wicked Youth'. Opening the evening's entertainment will be DFC regular GAV BALL. Another exciting young band will be our headline guests on Friday 20th October as we welcome the fabulous GRANNY'S ATTIC to Frenchay Village Hall. This trio went down a storm at Bristol Folk Festival and tickets are bound to be very much in demand! Support on the night will come from local band EMBER (including DFC regular Mike Richards), who also hope to have a new EP out around that time. Described as "one of the most important voices to emerge on the folk scene for years", November's guest is the inimitable GRACE PETRIE. Grace is a protest singer, but much more than that... she's a brilliant songwriter and exudes warmth and charm on stage. This is one not to miss, so be at Frenchay Village Hall on Friday 17th November... and make sure you get there in time to catch the wonderful support act for the night, GAVIN OSBORN. Please note that this event is restricted to over-14s. December sees us put on our most ambitious event to date, as Patron JIM MORAY returns for a full band show on Friday 15th December. Performing songs from his latest album 'Upcetera', as well as some favourites from his back catalogue, Jim will front a five-piece band as we venture out to Resound in Mangotsfield for the first time (while our regular larger venue at Christ Church is closed for refurbishment). Tickets for this one are a little more expensive but we've kept the cost of the others down and we're certain you'll find this show is worth every penny. The highly-rated DARIA KULESH will get the evening's entertainment underway. Tickets for all the events are on-sale now HERE, where you can also buy a Season Ticket for all four gigs and save almost £5 in booking fees! We have made some changes to the way we do our online ticketing which will come into effect from September onwards. In the past we have hosted our own ticket sales via PayPal, but this is very time-consuming and has led to some sales being missed. It also means that the artist misses out on the full ticket price (due to the fact the PayPal take a percentage of each ticket). For this programme onwards, online sales will be hosted via WeGotTickets. This does mean that there will be a 10% booking fee for tickets bought online (we don't see any of that, it goes to the ticketing agent) but it will save hours of work and the potential for mistakes. We feel sure that you will understand, and we've adjusted most of our ticket prices to compensate for this change. You'll also notice that we are reverting to an advance/on the door system, so you will have until the day before each event to buy tickets at the cheaper rate. You can still avoid those pesky online charges by buying tickets from Melanie's Kitchen or direct from our Welcome Desk at the preceding month's event. Members will also be able to buy their tickets from Melanie's Kitchen from September's event onwards. We're also keeping our Season Ticket offer in place for both members and non-members; this will still be via PayPal and will not include a booking charge, so if you want to commit to all four concerts, you can do that via the website. Please note that Season Tickets cannot be purchased from Melanie's Kitchen, but you can buy them from the Welcome Desk at our events.